Taradigm provides a range of standard and custom training options to support your project controls enablement strategy. Our trainers combine real-world experience with solution expertise to deliver a rich, hands-on training experience. Participate in one of our regularly scheduled open enrollment courses or customize a curriculum to suit your unique needs. 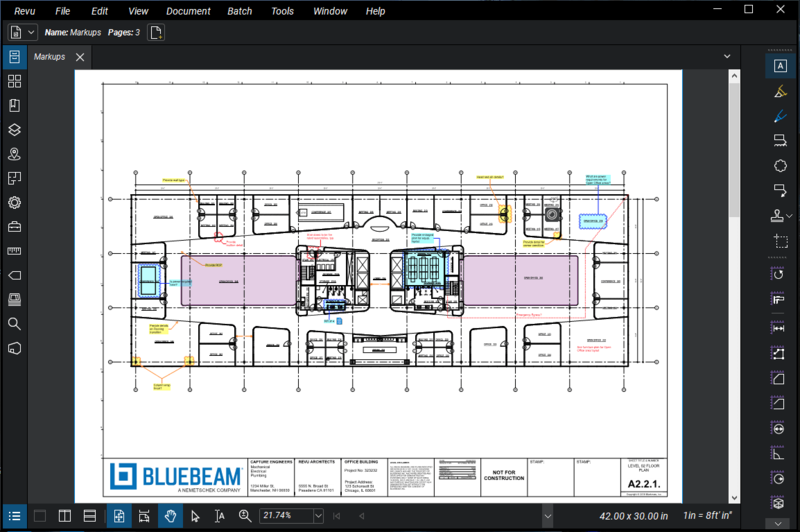 Taradigm provides access to Bluebeam University, a self paced, online training platform. In the near term we will be expanding our offerings to include Bluebeam Certified Training taught by a certified Bluebeam instructor, as well as custom training options. Our certified instructors will travel to your location to deliver standard or custom curricula. Students need only a computer with an Internet connection to participate. P6 Curricula created especially by and for you; start with our standard course material and modify to suit or build from scratch. Instructor led, hands-on, no travel. Taradigm is now delivering standard and custom Primavera virtual training courses through the Internet. Regularly scheduled standard curricula courses delivered by a US based certified instructor. Experience the richness of a hands-on class from anywhere in the world. Taradigm specializes in providing Critical Path Method (CPM) scheduling and claims services. We apply our depth of experience, Primavera expertise and industry best practices to develop initial baseline schedules, review and apply regular updates and provide both forensic and prospective Time Impact Analysis (TIA). Maintaining an accurate, up-to-date schedule will enhance collaboration with project participants to mitigate unwanted and unforeseen conditions. Contact us for a free, no-obligation initial consultation. 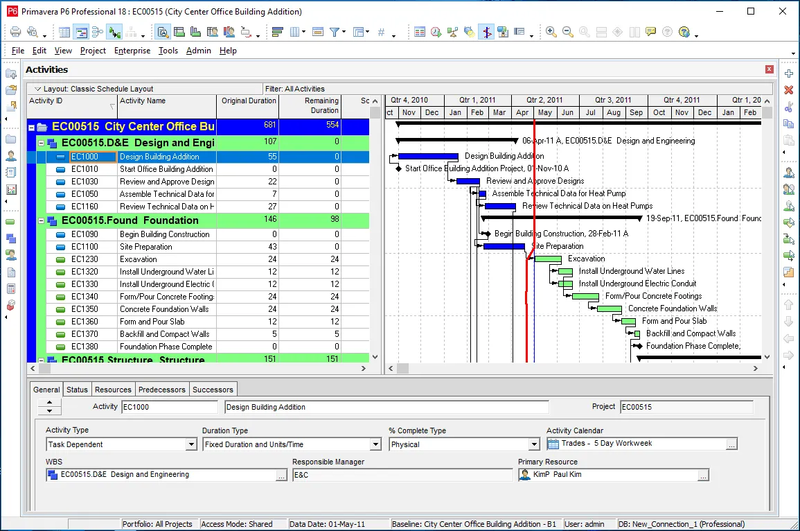 A project’s baseline schedule is used to measure deviations from an original plan or update. Cost and resource loaded schedules are often used to project anticipated expenditures, resource planning, and invoicing events. Our team of experience schedulers and Primavera P6 experts will work with your team to develop an optimized schedule for initial submission, change orders, claims support and project delivery. A Time Impact Analysis (TIA) is a prospective examination of a schedule against a baseline to determine and quantify the effects of unplanned events. Often, liquidated damages, contract extensions and monetary incentives are at stake. Our scheduling and claims team will expertly evaluate project contract documents including schedule revisions and produce detailed reports and narratives. Schedule updates are performed by our experienced schedulers with input from your project team. Typically, updates are delivered electronically by the project team to us who will incorporate changes and create a new baseline. We will analyze the data for errors and optimize each update to ensure that your schedule is maintained and accurate. Schedule a free, no obligation initial requirements review with one of our scheduling consultants. We will provide you with an anticipated level of effort and estimated costs. Flood control outlet and emergency repair. Security hardening of dam facilities. Expansion of access facilities. V. Lopez Jr. & Sons, Inc.
Our Implementation Methodology is based on an iterative approach designed to set clear expectations, identify milestones and deliverables and establish a communication protocol that mitigates unwanted conditions. In partnership with our clients, we strive to eliminate surprises and promote adoption by their user community and rapid return on investment. The first step of any implementation is the Discovery Workshop. The objective of this phase is to develop and document an understanding of the current conditions, end-state goals and how to get there. It answers the fundamental questions of how much will it cost, how long it will take and the what the measurable steps are to get there. Taradigm will configure the system based on the approved Discovery documents. This phase includes utilization of native configuration utilities, integration API’s, and report writing applications. The last step of the implementation is moving the implementation into a production environment, training the administrator(s) and user community. Training users on a configured system with customizes Use and Procedures Guides facilitates adoption and decreases ramp up time. The journey doesn’t end with the final sign-off, the initial production phase is an opportunity to start realizing a return on your investment. Cultural acceptance is critical to a successful adoption of new systems and it’s common for new users to revert back to familiar systems when they are not properly supported. That’s why we stay engaged with your team; initially, we schedule a check-up to make sure that everything is on-track and to address any encountered challenges. Once you start to realize positive momentum, we fall back to an as-needed resource. Taradigm provides custom report writing services. Send us a marked up report and we will provide you with a cost and time estimate to complete. Taradigm provides update and upgrade services. Please contact our services team to discuss applying patches, minor and major upgrades to your system.